This is a very weird thing to say. But Star Wars was never a boys’ thing. Generations of women will attest that they loved the original trilogy. 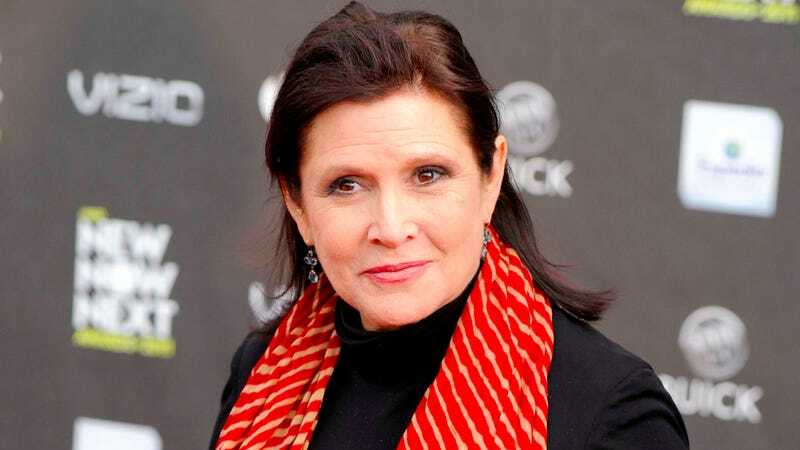 Part of the reason for the hue and cry over the initial casting announcement was that there are many, many female fans who don’t want to get boxed out of a beloved story that has one of the best female protagonists of all time, Princess Leia. Star Wars has always been for everybody. But that’s in no small part because whenever anybody tries to make Star Wars be a boys-only phenomenon—which probably happens through laziness and myopia more often than deliberate attempts at exclusion—women refuse to let them. Women like the female fans who just won’t shut the hell up about those Princess Leia dolls, and women like Carrie Fisher, who created an immortal character on impatience and eye-rolling when they wouldn’t even let her wear a bra.